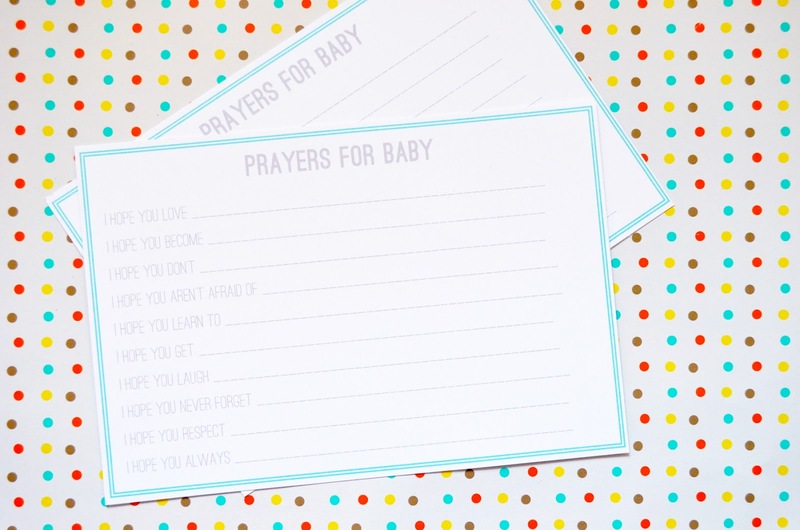 As you know, I had the pleasure of hosting my sis-in-law's baby shower some weeks ago, and had SO much fun dreaming up the decorations, the menu and designing these little prayer cards for guests to fill out their well wishes for the baby. Afterward, we gave them to the momma-to-be in a photo album so they'll always be close at hand, and I hope that when my little niece/nephew grows up and reads these sweet thoughts, they'll be a great reminder of how many people already loved her/him! 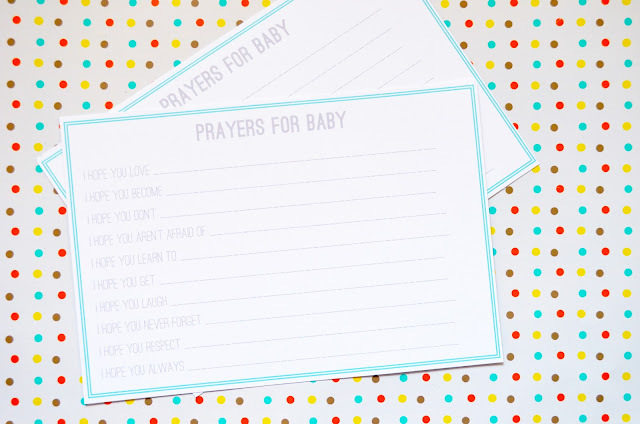 Anyway...I thought that those of you hosting your own baby showers might want another little heartfelt activity to add to the event, so I've uploaded a PDF of the cards for you do download for free! Just print them on some heavy-weight paper (there are two to a page), cut them out and break out the pens. Each one measures approximately 5 inches by 7.5 inches. This is my first time doing my own freebie, so I hope I uploaded it right. Do let me know if you have any problems!